Find Oklahoma Per Diem Nursing Jobs that are high paying and flexible with GIFTED! 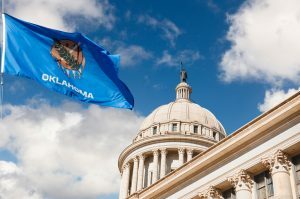 Oklahoma Per Diem nursing shifts with GIFTED are tailored to meet your needs. We find the best PRN opportunities across the state. As a nurse owned and operated agency, we find compassionate, caring nurses for our team. Our agency takes pride in finding opportunities to meet your needs. Why Choose Per Diem Nursing Jobs in Oklahoma? Per Diem nursing gives you the highest amount of flexibility and freedom. You can earn full-time benefits working part-time hours. These incredible perks are available to nurses who help hospitals meets the shifting challenges of the census. At GIFTED, we are currently staffing PRN and Per Diem nursing shifts in cities across Oklahoma, including Oklahoma City, Tulsa, Altus, and Ada. We find high-quality PRN nurses in Oklahoma, like Michelle, and provide opportunities at doctor’s offices, clinics, hospitals, and long-term acute care (LTAC) facilities. We fill both short and long-term contracts. Per Diem work means controlling your schedule and often higher hourly pay. “Capitalize” on your Per Diem work with GIFTED! Work part-time hours for full-time pay. Every state around claims to have the best barbecue, but Oklahoma’s fusion style will steal a true foodie’s heart. College football season means celebrations and social gatherings all over the state. Cheering for the Sooners or State Cowboys is a fun way to spend a Saturday afternoon in the fall. With a number of smaller towns, you can avoid the traffic and stress of crowded metropolitan areas. Its perfect for the nurse who likes tight-knit communities and watching the sunset over a sprawling plane. Ready to experience Per Diem Nursing with GIFTED in Oklahoma?